During the days when images were captured with film, a professional photographer would provide you with print proofs, usually 4×5 or 4×6 in size. Proofs were labeled with negative numbers, hence the file names and numbers are now with the digital files. Digital proofs are pretty much the same, and the only difference is that you see them now through a monitor screen and retouching is done in Photoshop versus with a mechanical brush and liquid paint. 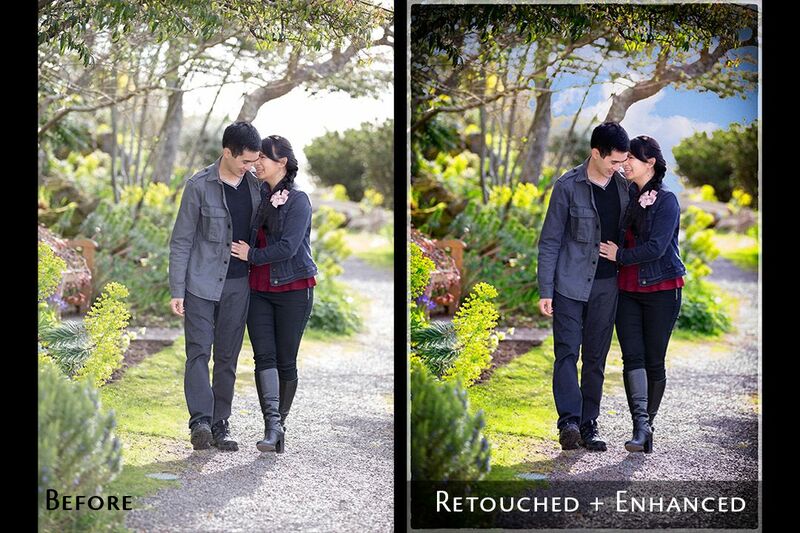 In my view, digital retouching is far superior to that of mechanical retouching (film retouching). 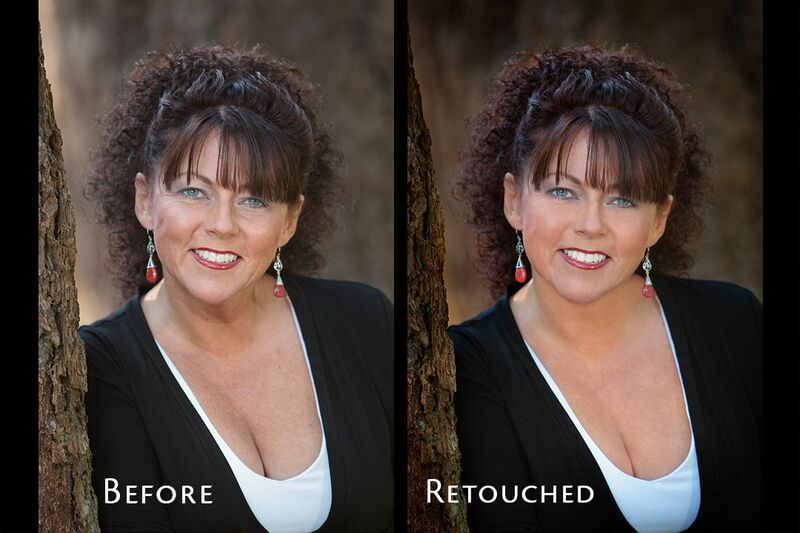 More about retouching below. 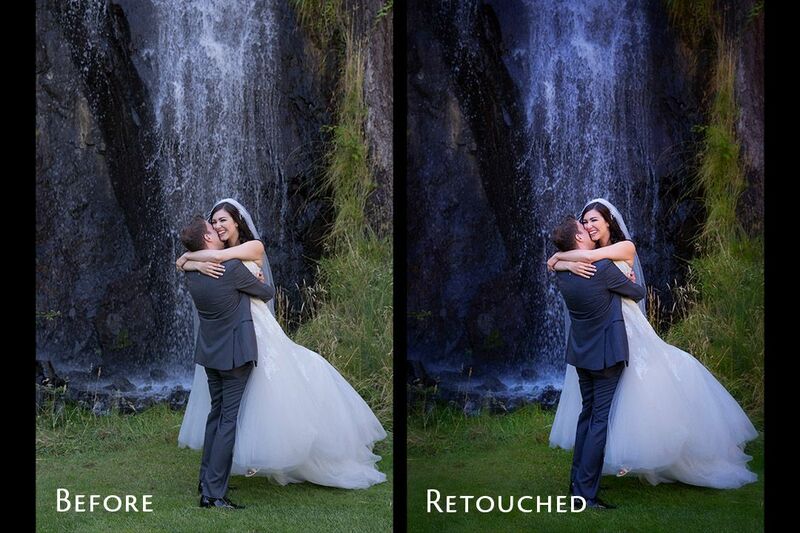 Why do images need retouching? No matter how well a portrait is taken and how smooth the skin of a person may be, there are always some imperfections that will show on a print, especially on the larger ones. 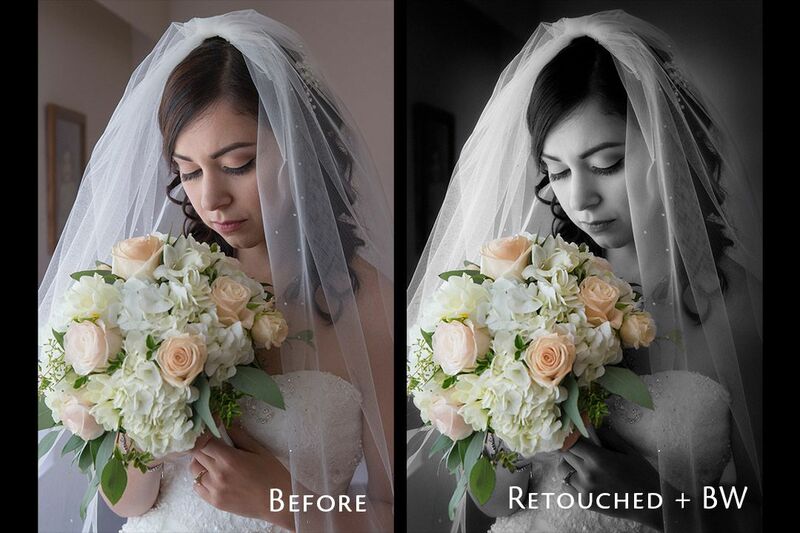 Digital image files are thus dramatically enhanced, and benefit greatly from expert retouching. This process goes far beyond facial retouching: – it also requires balancing the light and shadows to see details, as well as enhancing colour. Please see ‘before’ and ‘after’ samples on this page. 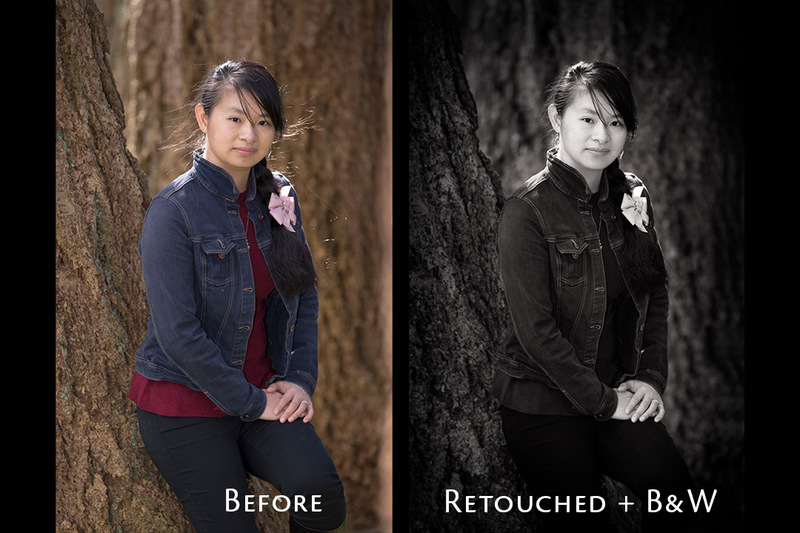 Just like creating images (photographs), retouching and colour enhancements are very important processes. Without meticulous retouching, the images would be like a house that is not quite finished. Depending on the type of image and the size it will ultimately be printed, it is a process that can take hours of hard work and creativity. I am committed to include retouching and colour enhancements with prints, enlargements and book orders no matter how long it will take, till it looks like a work of art – a comment made by my clients many times.